The really great thing I love about Nova Scotia is seeing the stars! Every year when we get here, the first thing I do is look up at the night sky – since we usually arrive at night, the timing is usually right. This video is my first attempt at shooting the Milky Way and Big Dipper as seen this summer in Nova Scotia. Thanks to my friend Darryl for pointing out this was shot during the Bootids meteor shower. 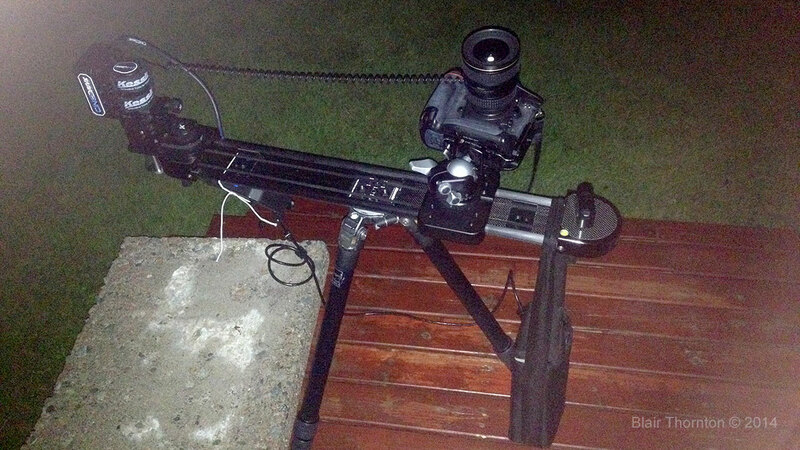 It takes a bit of work and patience to shoot a timelapse at night, but I love it. I recently bought a new wide angle lens (Nikon AF-S 17-35mm f/2.8D) and I’m having some diffulties using it. It’s not until I process the images the next day am I seeing the issue. Turns out with a digital lens, setting the focus past ∞ puts the image out of focus. 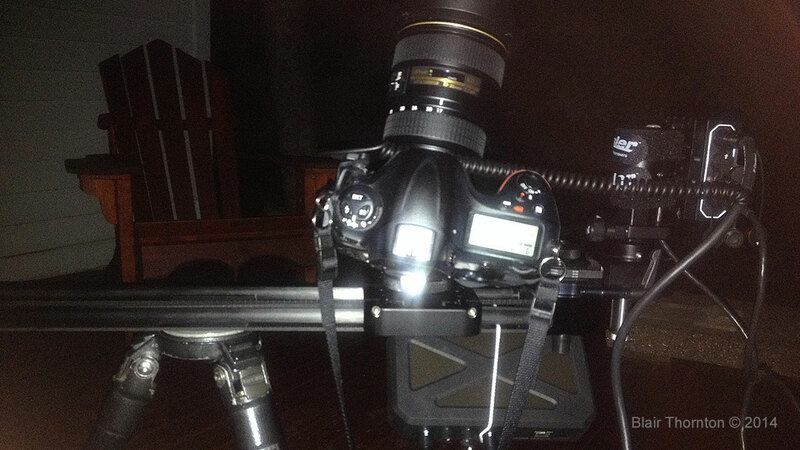 At night, when it’s hard to see focus in the viewfinder, it’s easy to miss the focus. Now that I’ve discovered the cause of issue, my subsequent timelapses should be much better this summer! UPDATE: some people like seeing the behind the scenes shots of what it takes to makes these Timelaspe movies, so here’s a couple of shots. 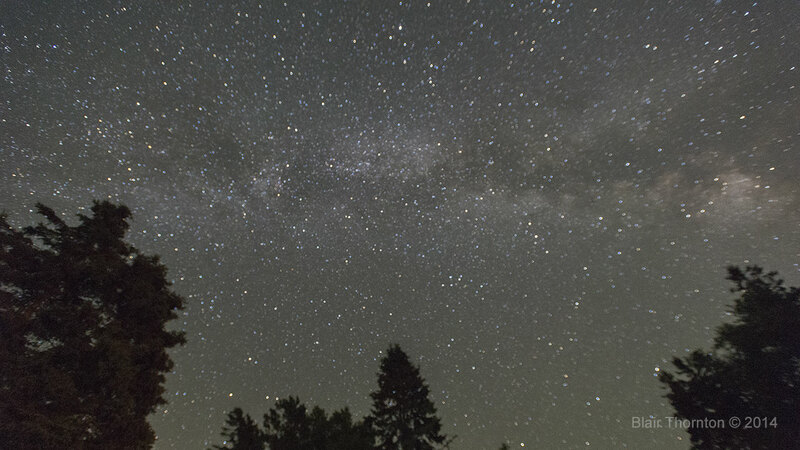 This entry was posted in Stars, Time lapse. Bookmark the permalink.